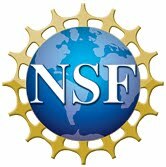 New joint USAID-NSF PEER (Partnerships for Enhanced Engagement in Research) program launched in Washington, D.C. PEER will fund research in developing countries, providing crucial funding to local scientists collaborating with U.S. scientists. Our PEER pilot project provided training for Bangladeshi scientists at the first ever seismology and earthquake workshop and transformed a seismic data processing center at Dhaka University into a state-of-the-art seismology and geodesy laboratory. NSF Director Subra Suresh said "This is a win-win partnership, the U.S. scientific community benefits from more robust international partnerships and an increased awareness of how research can be used to address global development challenges. Our foreign partners benefit from the expertise and enthusiasm of the U.S. scientific community, the engagement of U.S. universities, and an understanding that science can build bridges." BanglaPIRE principal investigators Michael Steckler and Humayun Akhter attended the program launch and described our project and the successes of our PEER pilot program. Participants at the first seismology and earthquake workshop included scientists from various institutions in Bangladesh. New state-of-the-art seismology and geodesy laboratory at Dhaka University.